Worsening air pollution is widely known to pose a real threat to public health in Hong Kong, and the proliferation of cars is well established as one of the main causes of this environmental problem. The solution may seem straightforward, but hard hard pornnot quite. Government efforts to curb car ownership with high taxes on automobiles and fuel have yielded little results. Although the ratio of car ownership to the total population in Hong Kong is lower compared with some major cities in developed economies, the problem of car pollution in the SAR is much more serious owing to the city’s small size and frequent traffic congestion in the urban areas. In the past few years, governments of various developed economies in North America and Europe have been vigorously promoting wider use of electric cars to reduce city pollution. Some countries, including France and the United Kingdom, have set a date for the complete phasing out of conventional cars. 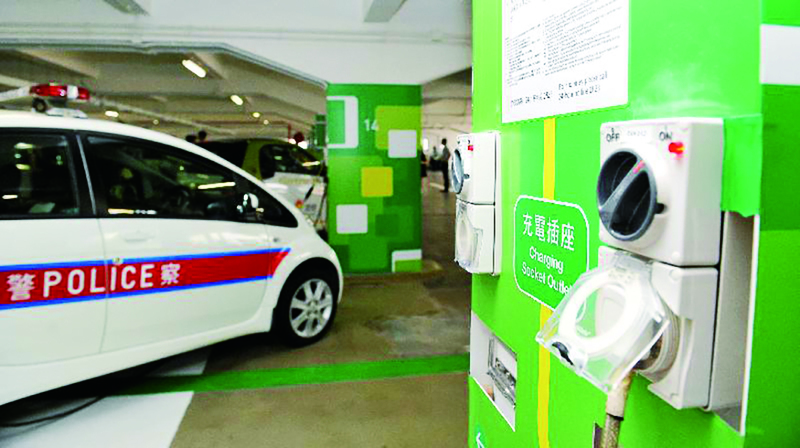 In contrast, the Hong Kong government took the befuddling move a few years ago to cut subsidies for the purchase of electric cars. The rationale behind it, if you can call it that, is to discourage the purchase of cars. That hasn’t been working the way the government planned. Hong Kong’s people love for cars has ensured that the number of these polluting machines continue to rise year after year. What’s worse is that there are more gas-guzzling and pollutant-belching SUVs hogging the narrow streets. To find a compromise, the Advisory Council on the Environment recommended at a meeting earlier this week that the government focus its support on t[MG_SEO]he use of electric vehicles in the commercial sector. It followed a local media report, citing government data, that commercial vehicles, including trucks, buses and taxis, are responsible for 95 percent of all vehicular emissions. The council has identified several technical issues that have prevented the widespread adoption of electric-powered commercial vehicles. But, these problems aren’t insurmountable, it said, suggesting that the government should consider investing greater resources in building the infrastructure, like chargers, to facilitate the use of electric cars.